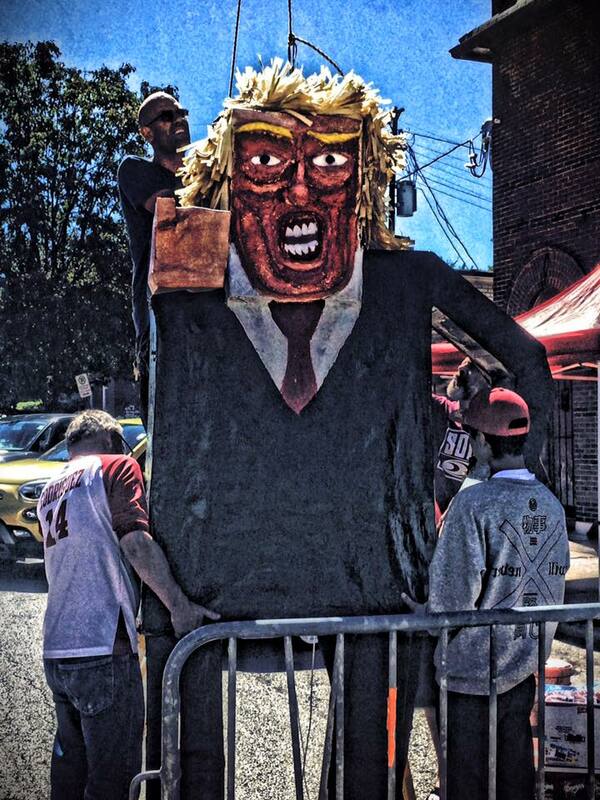 This weekend Cherokee Street in South St. Louis celebrated Mexican Independence Day. The Cherokee neighborhood has several Mexican restaurants and shops. 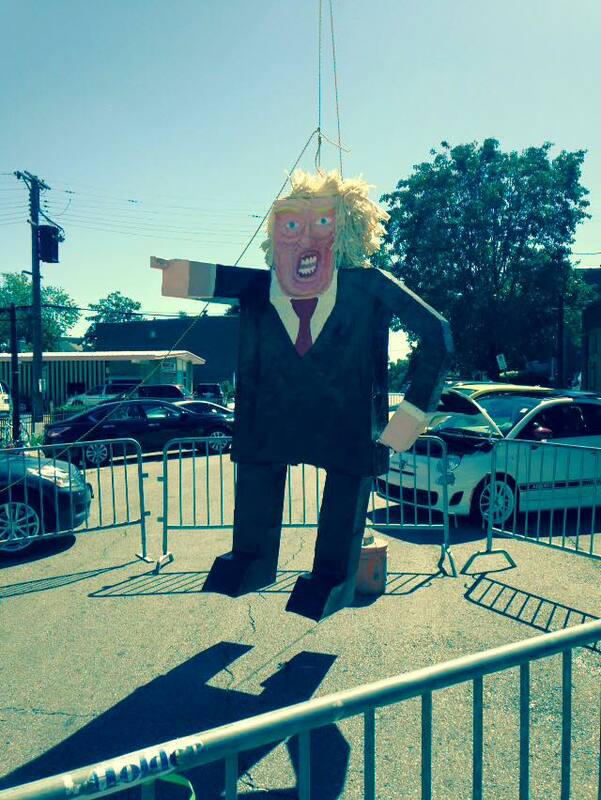 Yacquis built a giant piñata of Donald Trump and hung it up for the weekend festival. On Sunday night they beat it down. 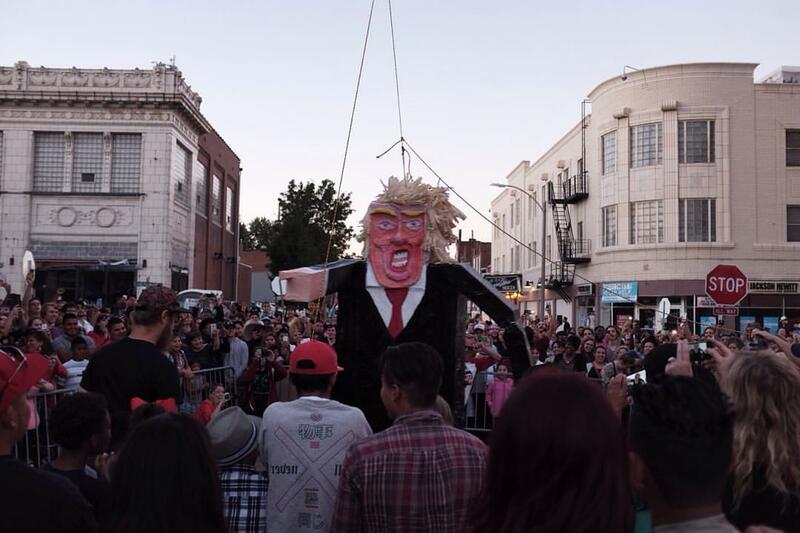 Caption: The masses turned out to destroy El Trumpo. 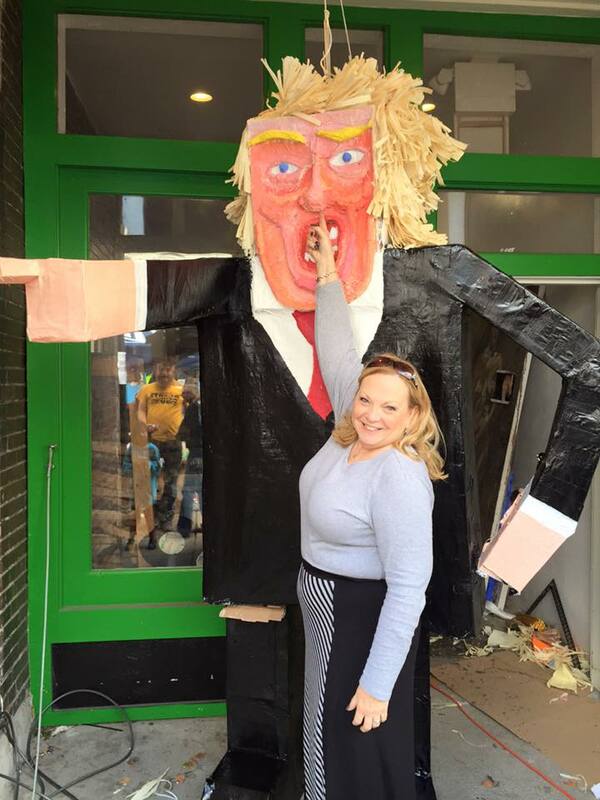 The effigy was hung on Saturday.